Sickle Rigging and Morphing System is a three-part system for converting, rigging and morphing clothes for Genesis. Get it here at DAZ. CONVERT: The SRMS templates convert Gen 4 clothing to Genesis more accurately and with less distortion than Autofit while using the same Transfer Utility methods most of you already know. 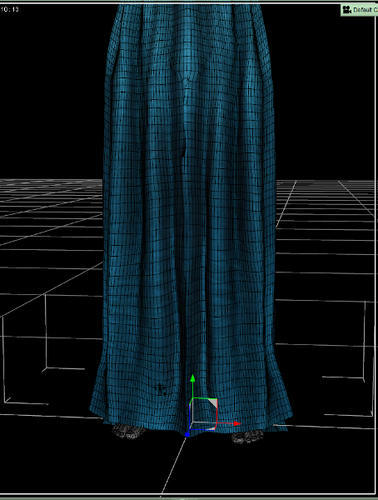 RIG: Use the SRMS bodysuit, dress and boot templates to rig custom clothing with handles and optional JCMs for skirts. MORPH: Add up-to-date official DAZ character morphs from Generations 3-5 (plus Hitomi) with just a couple of clicks in Transfer Utility. Works on converted AND on custom items. 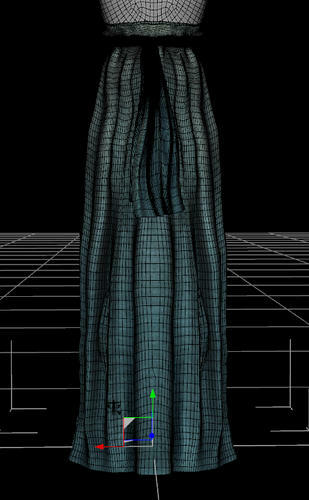 Sickle Rigging and Morphing System is a three-part system for converting, rigging and morphing clothes for Genesis. That statement alone has me sold. Will this work on hair as well? No, because it's not really necessary on hair. TU handles that pretty well on its own. Looks very very interesting. So finally we will have a template for converting shoes from Gen 4 over to Genesis? Will this work on converting for Freak 3 to Genesis? There area couple of really cool fantasy outfits that just look horrid. I've found that shoes wise David and Hiro 3 convert the best. Excellent. Is it possible to increase the quality of shoes/boots conversion even further? I've done the best that I can. So far nothing seems to prevent some distortion on the thickest of platform soles, but it works quite well on basically anything that doesn't have a huge platform or a huge platform plus a super-high heel. Like I said, it's better than Autofit. Ok, thanks for the answer. Waiting for the release, then. I never kick a lady spider, I'm a much more behaved Wolffie than others. Just asking hon. So does the template include for flats and like work boots with a slight heel?? I have MOST of Connie Kats Tool Boi sets converted over to Genesis but the boots looked HORRID so I just let it go. If they can now be converted mostly without issues I'm so in line for this product. It should. Neither ToolBoi boot set is bigger than the Reiver heels, which converted all right per the pic (and M4 stuff usually comes across better than V4 because it's closer to the shape of Genesis). Good to know. Thanks hon! And the morphing features. Here is Genesis Freak 4 wearing Defiant (with the Audacious textures) morphed using the transfer template morphs I created for the product. This product is great for adding breast bridging or just general morph support to outfits that came out before your favorite character morphs and thus do not support them. This looks very useful! Awesome!! 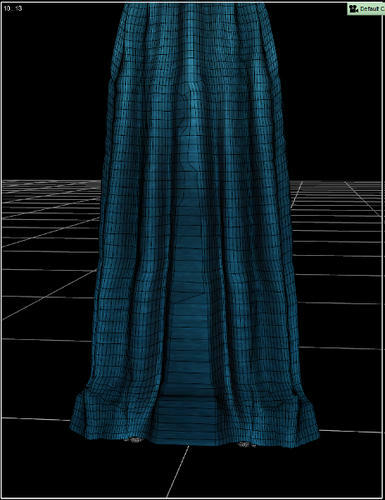 One request Sickle, could you post a wireframe image of an item with a skirt? I would like to see if it solves the stretching caused by autofit in the skirt. It doesn't totally. So far I haven't found anything that does. I'll be happy to demonstrate, though. I know I should know this already, but how do I make the wireframe show up in renders? When I've tried it before it would show in the viewport but not render the wireframe. I didn't think it would totally but I did want to see how well it did...that's one of my biggest issues with autofit. I don't know that you can render it. I normally print screen and paste it into a jpeg file. The first one is with autofit, and the second is with transfer utility, Morph--V4, and my dress template. This is SAV's beautiful Dragon Lady dress. Wow! That is much better...this would be a must have for me! 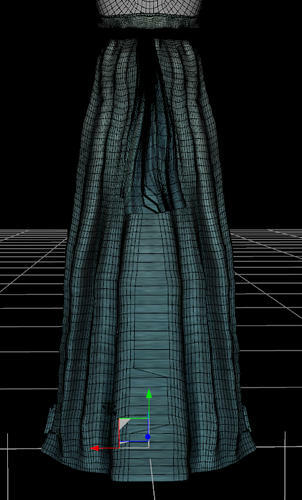 And here's the Selene dress converted (because it's pretty and I like it), in render and in wireframe. The crinkle in the center (visible on the previous post as well) irons out ok with a texture on and a smoothing modifier. Using Morph V4 instead of Clone V4 gives better results, I think. (Crosspost) Hang on, let me screencap the back. ...impressive. Now i can finally use a lot of the nice long skirts & coats as well as the rollerblades for V4. Thanks, Kid. :) I hope a lot of people will want the rig/morph features too (the conversion wouldn't work without them), but I knew when I started that the conversion would be what would get the most attention. Back view of the converted DragonLady dress per Pen's request. Autofit on the left. It is bed time here, but I will respond to further comments/queries tomorrow first thing! Have any examples of short/mini skirts? I find the TU always gives them a little V-shaped divot in the front center at the bottom that doesn't go away no matter how much you crank the smoothing level up. As such, not a single short skirt I've tried to convert has been usable on Genesis. Impressive - another must-have utility set from you! Very impressive, I miss the boot leggers and the Zettas. 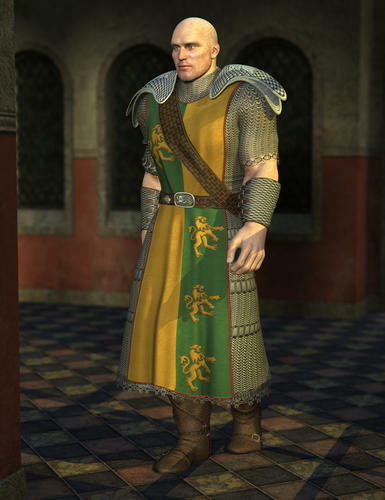 How does it do at converting belts and harnesses with scabbards and bags attached please? I feel you think much and understand well,,, what user hope. This sounds really exciting. I may be able to use the Kids 4 dresses and shoes for the Genesis basic child. I agree with cwichura, I would like to see how well it handles shorter skirts. I am just starting to learn Hexagon, and like that this should help me make well fitting clothes for Genesis. This looks fantastic! Nice work here Sickle!